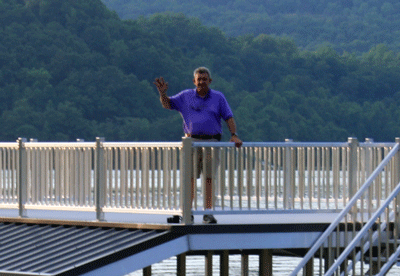 One of the fastest growing builders of residential and commercial boat docks in the country. 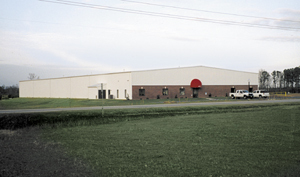 Alumadock’s parent company, Robco Manufacturing, was founded in 1983 by present CEO M. Thomas “Tommy” Roberson. Tommy grew up working closely with his father, who owned a gas and service station and a towing business. Later, Tommy worked as a salesman of industrial filters for American Air Filters, traveling across the continental US. In 2003 his older son, Michael T Roberson Jr, joined the business full time as local sales manager. Since then, Michael has expanded our dealer network, improved the product through customer and dealer interactions, worked heavily on expanding our commercial clients and has eventually become Vice President of Sales. In 2008 Tommy’s younger son, Charles Hunter Roberson, joined the business working closely with Tommy and the manufacturing aspect. Hunter has worked to improve our products through technology and engineering, working off the success and experience of his father and brother. Hunter has now become Vice President of Manufacturing. Robco is a full service metal fabrication and CNC machine shop that specializes in building top-quality boat docks. Our college educated, AWS certified welders and millwrights fabricate many products from aluminum, steel and stainless steel. Alumadock utilizes an in-house design team using the latest CAD systems to insure a properly designed and engineered dock. This experience of precision aluminum fabrication insures a better fit and finish for our docks and a dock that will stand up in the harshest marine environments. Our products are widely used by federal, state and local public agencies. As well as aluminum docks, we have done extensive work in the industrial manufacturing field.